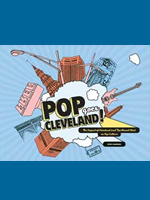 Since its founding in 1980, Cleveland Landmarks Press (CLP) has been engaged in preserving memories of Cleveland’s rich heritage. 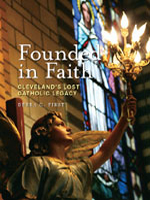 Through publications, book signings, and presentations, Cleveland Landmarks Press has strived to help people appreciate Cleveland’s rich history, which has continued to make the city such a great place to live and work. Liberally illustrated slide presentations typically last one hour. 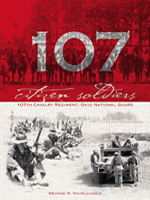 Books at discounted prices are also available after the presentations. 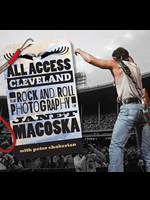 To learn more about the CLP speaker series, or to schedule a book signing, call: (216) 658.4144 or email: info@clevelandlandmarkspress.com. While police raided Short Vincent’s seedy bars, celebrities like Milton Berle, Jimmy Durante, and Judy Garland gravitated to the legendary Theatrical Grill for dinner or drinks. 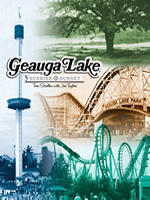 Perry Como and Dean Martin launched their careers there. 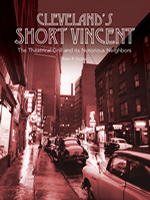 Resident bookies, career gangsters, and wide-eyed tourists roamed the infamous street. 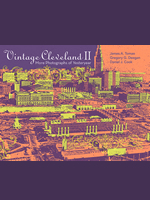 This presentation highlights the history of this unique Cleveland hotspot. 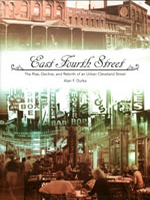 Short in distance but long in memories, East Fourth Street’s story has mirrored downtown Cleveland’s dynamic rise, decline, and rebirth. Once the home to Cleveland’s opera house, central markets, and five and dime stores, Fourth Street fell into disrepair in the second half of the 20th Century. Relive the stories and follow its renaissance as one of the city’s most popular destinations. 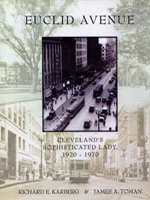 This talk, illustrated by 125 images, covers downtown Euclid Avenue during its days as the premier shopping venue in Cleveland. It covers the avenue’s department stores, the specialty shops, the theatres, and the restaurants. 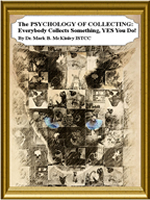 Covering roughly the years 1920- 1970, it highlights the golden age of downtown shopping. 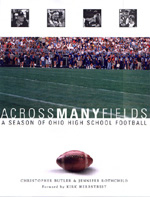 This program is a vivid reminder of one of Cleveland’s all-time favorite places. 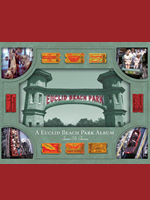 With 120 illustrations, most taken during the park’s last year of operation in 1969, but some from the following years as the bulldozers arrived, the talk brings back wonderful memories of that magical place on the shore of Lake Erie. From the city’s founding, Public Square has been the place where Clevelanders gather to mark important events in the life of the city. 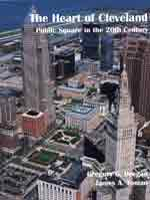 This program, illustrated with 116 views of the Square, shows the dramatic changes which have transformed the community square from an open pasture to a skyscraper-wrapped civic and commercial hub. 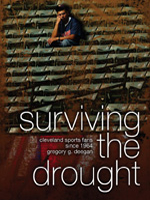 Replete with interesting vignettes, facts, and images about the Cleveland sports scene since 1964, the last year a Cleveland squad took home a championship title, this presentation explores the histories of the three major sports teams in Cleveland and examines the unique fraternity of Cleveland sports fans who turn out to support them year after year. 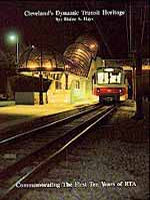 Ever since 1913 residents of Shaker Heights have benefited from the rapid transit line that connects the suburb to downtown Cleveland. With 134 images, this program focuses on the different generations of rapid cars that have been used on the line, from the early 1200 series leased from Cleveland Railway to the modern fleet of Breda cars in use today. 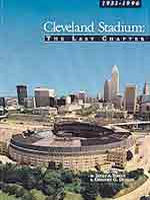 This program opens with a look at Cleveland’s League Park, home to the Cleveland baseball team until 1946. It then moves on to Municipal Stadium, from construction to demolition, and covers the events held there: baseball, football, concerts, civic pageants, and religious celebrations. 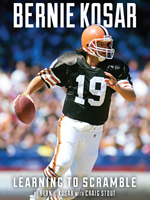 The 116-image talk closes with a brief look at Progressive Field and Cleveland Browns Stadium. 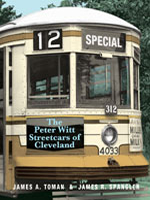 With 112 photos, this program documents the electric era of Cleveland public transportation. 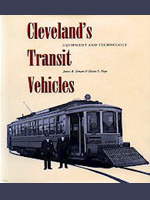 It covers the streetcar era which came to an end in 1954, and it then looks at the trackless trolley coaches which replaced the streetcars on 11 lines. 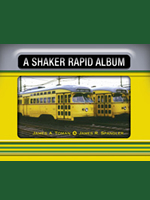 It also takes a brief look at the Shaker Heights Rapid Transit and at the CTS east-west rapid line between Windermere and the Airport. 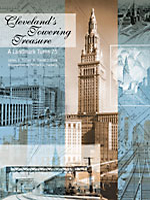 Packed with 143 images of Cleveland’s most famous landmark, this presentation covers the Terminal complex from planning through construction to changes that have taken place to the historic structure since its opening in 1930. Topics include the train station, the conversion to Tower City Center, the Tower, the Higbee Building, the Renaissance Hotel, the Prospect office buildings, and the former main post office building. This presentation offers a tour of the city in days of yore. 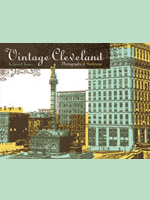 Its 120 images, from the extensive Bruce Young Collection, cover such prominent Cleveland scenes as Public Square, the waterfront, Euclid Avenue, the Detroit-Superior Bridge subway, Euclid Avenue, East Ninth Street, the area amusement parks, and the historic food markets. Vintage Cleveland II makes another visit to historic Cleveland. 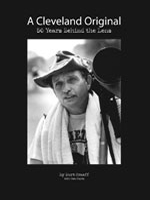 Its 120 photos review an ever-changing downtown, the twists and turns of the Cuyahoga River, and the bridges which bind the city together. 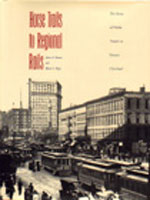 It explores the city’s former grand hotels and favorite restaurants, its vanished movie theatres, and the supermarkets of the past.